Posted on November 1, 2016 by thelostlighthouse	in Gaming, Total Reroll and tagged 5th Edition, 5th edition D&D, actual play, D&D, DnD, Dungeons & Dragons, fantasy western, gaming, pen and paper RPG, podcast, real play, role playing game, RPG, thelostlighthouse, TLL, tllgaming, Total Reroll, Total Reroll Equinox, Western, Wizards of the Coast. We have started a new Dungeons and Dragons campaign, the first episode of which was released today! Here is a bit of background for the world that the adventure will take place in. In the world of Saugin, after endless eons the Great Storm of the East has parted. 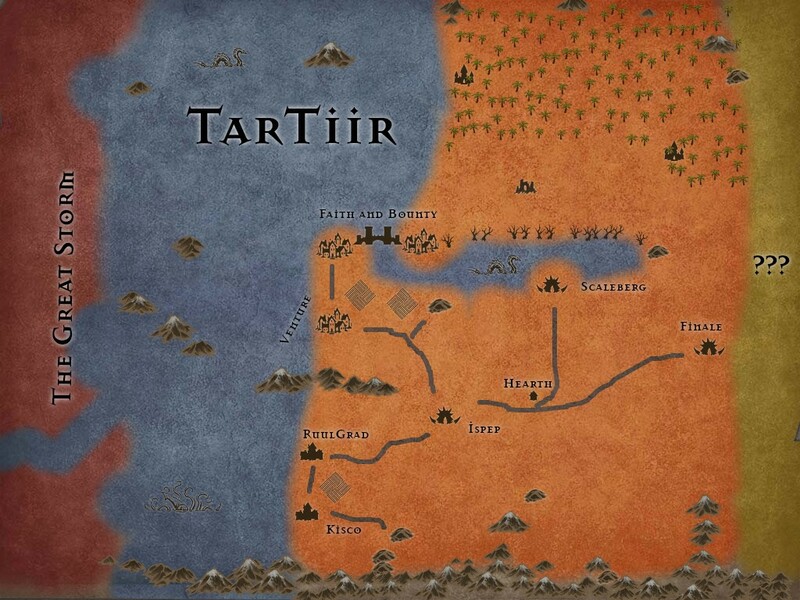 100 years ago the path opened, and the new continent of TarTiir was unveiled. To the north, endless jungle and mysterious temples and ruins; to the south, harsh desert and mountains rich with minerals and treasures; and before that a sea full of beasts and jagged peaks and uncharted isles. These adventurers are new to TarTiir, freshly exiled from their homelands. The kingdoms and baronies of Saugin come seeking riches and power. People of all races and creeds and allegiance come seeking their fortune. Cantripguns in hand and hats tilted low, settlers face the desert and see danger and opportunity and freedom. Forces beyond anyone’s ken are rumbling deep in the east, far across the desert beyond what any mortal has seen. Will they fight for the future and freedom of TarTiir, or exploit its riches to their own ends? Subscribe to the podcast feed or on itunes, and feel free to share or retweet too! Featured image by Kekai Kotaki.